Forum 4 Service Delivery councillor Napoleon Webster, accused of escaping from lawful custody, is expected to appear in the Bafokeng Magistrate’s Court in Tlhabane near Rustenburg on Tuesday. He will appear alongside Lizalise Qikane, Vuyolethu Gunguthwa, Fuzile Mgidi, Sandile Zulu, Malibongwe Witness Qwabe and Zithobile Zekeni. They face charges related to aiding his escape. The State alleges that on January 6, 2017, at the Bafokeng Magistrate’s Court, Webster was arrested while attending the court proceedings for the murder of Sabata Petros Chale. The 39-year-old Chale was hacked to death in Marikana West near Rustenburg. Webster was handcuffed and put inside a police vehicle, parked near the court entrance, a group of men armed with spears, stones and pangas allegedly approached the police vehicle and attempted to release him. The police fired warning shots, but the men managed to free Webster, before they all got inside a minibus taxi and fled the scene. The police gave chase and fired shot at the vehicles tyres, the group abandoned their vehicle when it deflated on Mokwena Street in Tlhabane. They hid in outside toilets of houses in Tlhabane, and Webster was found in a minibus taxi going to Rustenburg, still handcuffed. 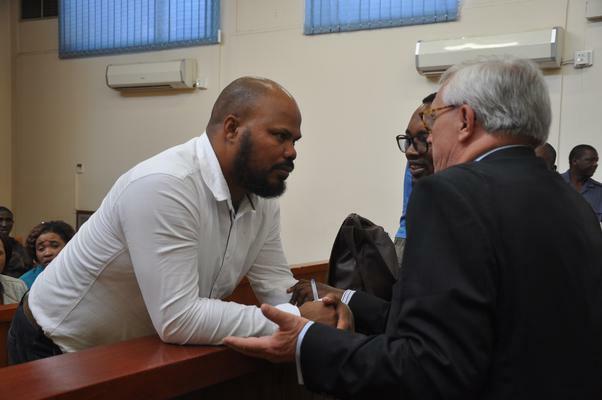 The charges against Webster, Mdlondozi Fundiwo, Aphindile Pungone, Gift Luveli, Nkululeko Msithwa and Luvo Soyizwaphi in connection with Chale’s murder were dropped at the North West High Court on May 22. The trail against eight others is continuing at the North West High Court sitting in Mogwase.